Poaching usually means to hunt animals illegally. In this case, trees are being taken from the wild. They are then secretly sold for a lot of money – up to $100,000 each – to people who collect unusual plants. 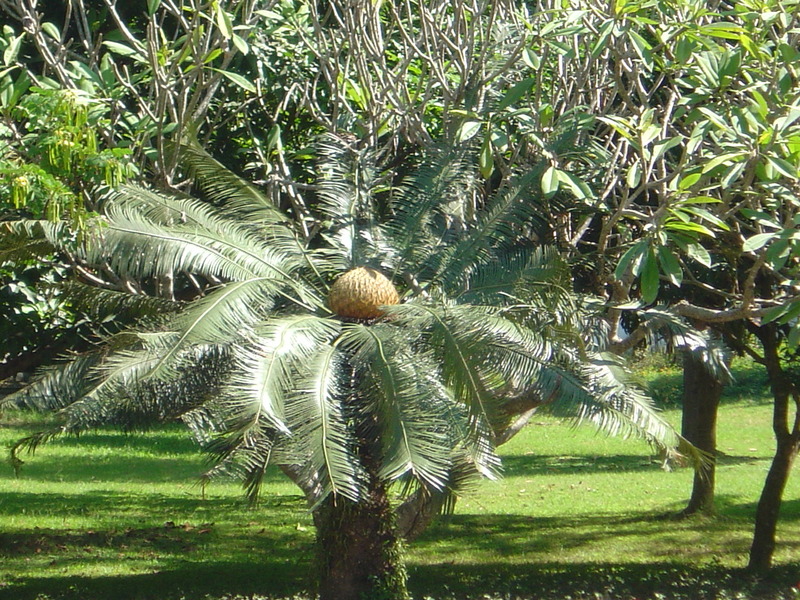 The first cycads existed during the time of the dinosaurs, during the Jurassic period. 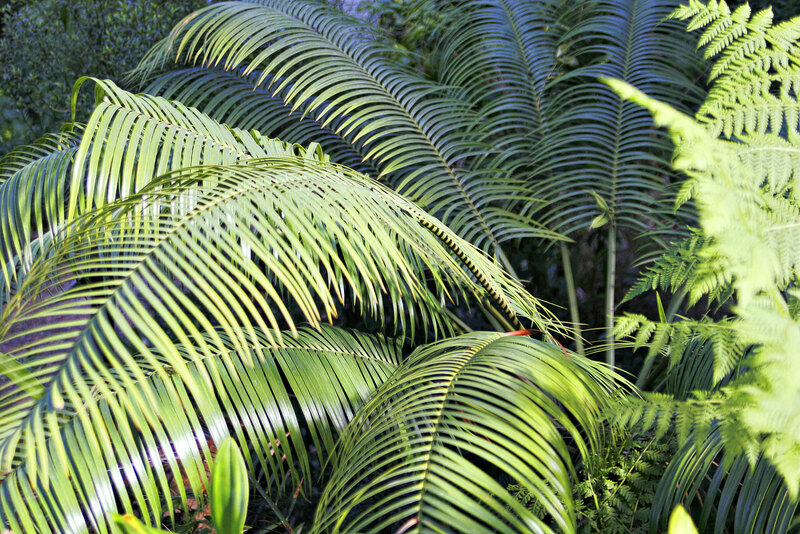 The kinds of cycads that are alive today have been around for 12 million years. 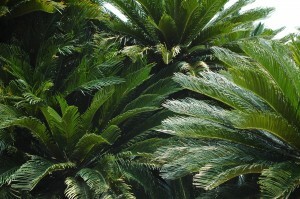 They look like a cross between a fern and a palm tree, and they can take hundreds of years to grow to their full size. 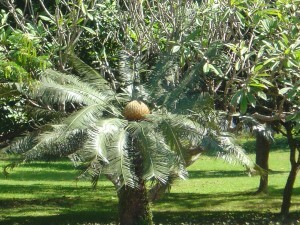 There are many different types of cycads. Some types are already extinct, and others are endangered – there may soon be none left. Some of the rarest types of cycads grow in South Africa. These are the plants poachers have been stealing. The poachers work at night, taking cycads out of the ground, then cutting them up into smaller plants so it is easier to move them. It’s okay to sell some kinds of cycads in South Africa. Poachers sometimes remove all of the leaves from the stolen plants so no one can tell what type it is. That makes it hard to catch the poachers. 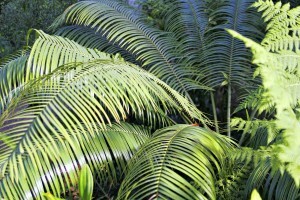 Scientists from a university in South Africa want to make a record of the DNA of all types of cycads. (DNA is a set of molecules that contains information about the characteristics of a plant or animal.) Then, plants can be checked as they are being shipped out of the country to make sure no endangered cycads are being sold. The scientists are working with the International Barcode of Life project which is based in Canada. What punishment would you give to someone who has poached a cycad. Consider if the punishment you create will 1) convince people not to do the crime, 2) to make better choices in the future, and / or 3) punish them for their bad choice. Why is the punishment you chose appropriate? Go to the related link and read TKN’s story about the “Barcode” of life project. How does it add to your understanding of today’s article? Extend understanding of texts, including increasingly complex or difficult texts, by connecting the ideas in them to their own knowledge, experience, and insights, to other familiar texts, and to the world around them(OME, Reading: 1.6). You see, without the hyphens, the reader doesn’t don’t know if many millions of year-old plants are being threatened or an ancient species of plant is being endangered–and that’s a big difference. Those little tiny lines between words really do make a difference after all! Draw two pictures for each example below to show the difference hyphens make. A) The man-eating tuna was hungry. B) The man eating tuna was hungry. A) The posters for the candidate were one-sided. B) The posters for the candidate were one sided.